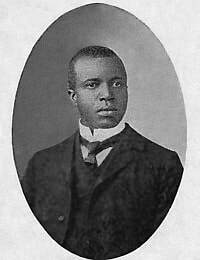 InspiredThe Scott Joplin Online Archive is the home for the Scott Joplin Online Centennial, a year-long celebration of Scott Joplin's piano music which began on April 1st, 2017. It will also serve as an ongoing resource for those interested in studying, performing, and listening to Joplin's music. The Archive contains .mp3 audio renderings of the MIDI files Joplin's piano music and contemporary compositions recorded by pianists from the United States, Australia, Switzerland, China, the United Kingdom, and Norway. The MIDI files are available to organizers of Centennial concerts going on this year with the MIDI pianos. It will also be possible to listen to the recordings on our apps for iOS and Android phones. Thanks to Bill Edwards for helping us develop a collection of sheet music cover art. TimeWarp Technologies has partnered with the Online Centennial to publish Joplin's complete works in an interactive format using the SuperScore iPad app that allows a pianist to work with interactive scores synchronized with recordings. The Disklavier Education Network will be mirroring the Piano Works Archive along with additional performances of selected compositions. Over the course of the year, we will be gathering research papers and video-sync recordings made of people introducing their performances and discussing issues of Joplin's history and performance practice combined with Disklavier performances. Check the Frequently Asked Questions for more information, including information on how to submit recordings and papers.